Note: this is an informational overview of testosterone. For a list of recommended supplements, please see the Best HGH Supplements of 2019. It is a fact of life that many men will eventually experience symptoms like low energy, decreased strength, and an increased difficulty gaining and maintaining muscle mass. If this is you, then you may naturally be wondering what’s going on. While a decline in physiological functions can be expected as we get older, it doesn’t have to stay that way. There are ways to help turn back the effects of time, or at the very least help slow down the clock. One of the ways to do so is through the use of Human Growth Hormone (HGH) , sometimes known simply as Growth Hormone (GH). Growth hormone occurs naturally in the body and is produced by your pituitary gland. 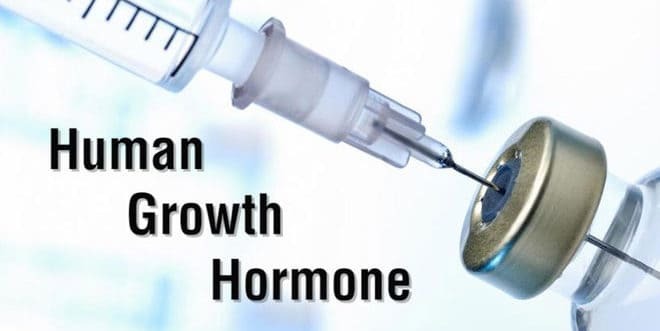 HGH, which is also referred to as somatotropin, is the hormone that aids the growing process throughout your early years. Over time, the production of growth hormone eventually begins to decrease. This will typically occur in your 20’s and 30’s. Some studies have found this decrease to happen at a rate of a little over 10% every decade. There are also other studies that report much higher numbers. While, the numbers can be debated, what can’t be is the fact that this is happening within our bodies. However, in order to truly determine the level of HGH deficiency, one needs to visit a medical professional for testing. Once testing reveals a genuine deficiency, you’ll then need to get a prescription and have a doctor administer the growth hormone through injections. There are alternative ways to obtain actual HGH, but these typically involve illegal methods. Keep in mind that there are strict guidelines as to what the medical world terms as a HGH deficiency. Simply wanting to get HGH injections to build more muscle is not considered a legitimate need. As the name implies, short bowel syndrome finds the individual with significant damage to their small intestine or having had parts of their intestine removed. Individuals suffering from this condition have difficulty absorbing water and nutrients from food. In this case, GH can be introduced to help with absorption within the intestine. Growth hormone deficiencies can occur in one of two ways when it comes to pituitary tumors. The first is from the tumor itself and the other is from treatments and interventions done on the tumor. If left untreated, some of the symptom that can occur are an increase in body fat, reduction in strength and endurance, and a decrease in muscle and bone mass. AIDS wasting or muscle wasting can be seen among AIDS patients. This disease is characterized by weight loss. Individuals suffering from HIV/AIDS and its related muscle wasting disease experience severe weight and muscles loss, or a loss of lean body mass. These factors coupled with organ failure, can oftentimes lead to fatal outcomes. Somatotropin, or what we commonly know as HGH, has been approved for use in individuals suffering from HIV/AIDS muscle wasting disease. While this doesn’t quite fall in the medically approved categories, it is common among adults. As you age, you begin to experience lower levels of energy, a decrease in your level of strength, a declining amount of muscle mass and a mounting increase of body fat. While this may be categorized as a growth hormone issue, it may not be sufficient enough in testing to merit a prescription of HGH. However, there are treatment options available which will be covered below, but first let’s take a look at just how much HGH you may be losing. Doctors measure your HGH levels not by the actual growth hormone, but rather by Insulin Growth Factor 1 (IGF-1) concentrations in your body. While GH levels are difficult to measure because they disappear, IGF-1 remains in your bloodstream and run parallel to GH levels, giving the test validity as a measuring point. Since this is the case, IGF-1 levels are measured instead of GH. Studies vary in ranges of loss as an individual gets older, but can be anywhere from the 10% mentioned earlier or more. To better illustrate this point, let’s look at the normal IGF-1 range of 500 to 1,000 ng/ml for an individual before the age of 30. 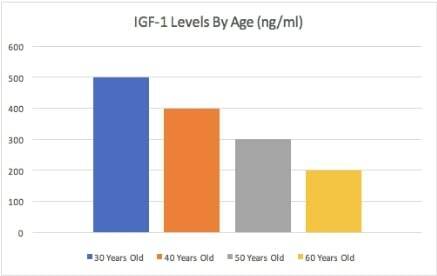 As you can see, the decline in IGF-1 levels with age can be quite rapid and may be significantly lower by the time people enter their 50’s and 60’s. Keep in mind that we are using the minimum 10% decrease, with the rate perhaps being higher depending on the individual. So what can you do about it? Let’s take a look at some options. To better understand what deficiencies you may be experiencing, you will need to be examined by a Doctor. While you may be experiencing some of the symptoms such as loss of energy or loss of muscle mass that are commonly linked to GH deficiency, it doesn’t necessarily mean that you have that specific deficiency. After testing, your Doctor will be able to better determine what is happening and the route of treatment to take. If there is indeed a finding of GH deficiency, then you will need a Doctor to prescribe the GH injections and to administer them as well. As mentioned earlier, as you age, GH decreases and while it may not necessitate a GH treatment plan from a medical Doctor, you may still want to address this. The question now becomes – How? There other options available that are not the actual GH, but help to stimulate the production of GH that naturally occurs in your body. Some of these options are supplements such as pills that can be taken orally (see below). An increase in muscle growth due to a trigger in protein synthesis. The ability to burn fat while simultaneously increasing lean muscle mass. Enhanced development of cartilage, leading to increased joint strength. 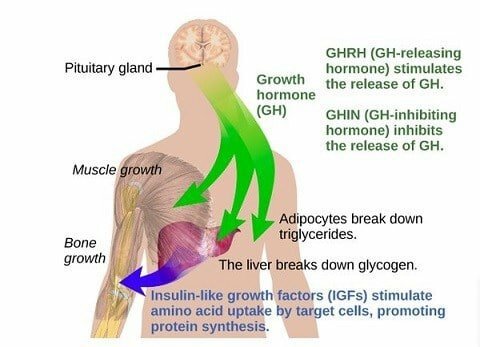 In order to experience the hypertropic (muscle-growth) effects, human growth hormone must be taken in relatively large amounts over a longer period of time. Unlike the fast-acting (but temporary) effects associated with anabolic steroid use, the gains from using HGH are more easily preserved with regular workouts. 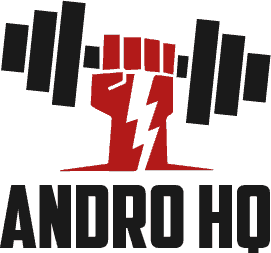 The fat-burning effects of HGH are due to an increase in the amount of free fatty acids, causing the body to burn fat for energy instead of carbohydrates. 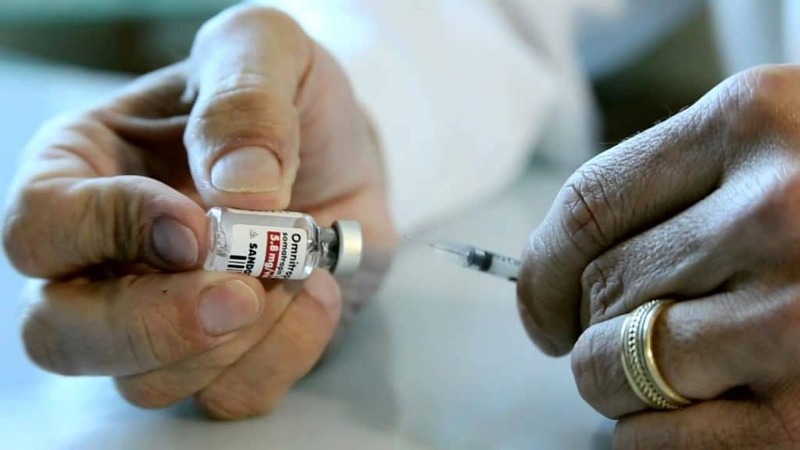 The use of growth hormone injections, even by a doctor, is far from being all positive, and is not only potentially harmful, but dangerous. In fact, those using large doses of HGH over long periods (for example, with bodybuilders and athletes) are at a far greater risk for adverse health conditions and side effects. There are a wide variety of HGH supplements on the market, but again it is important to note that these products are not the synthesized GH that is prescribed from a Doctor. These supplements have more to do with supporting healthy growth hormone production. Here are some of the more common products you will see on the market. The ingredients in this form will vary from product to product. While you may see some common ingredients, or some that may be popularizing the use of such things as Deer Antler Extract, be sure to do you due diligence before you make a purchase. These supplements will be taken orally. These sprays will look similar to other types of orally ingested medicinal sprays. These products will call for you to spray the product into your mouth and in some cases, call for you to spray it under your tongue. Again, ingredients will differ, but be sure to read the labels as some of them may sound like the real thing but may have a word such as “like” in it to give the impression that it is the actual GH, but in reality, it is not. In the case of lozenges, you will also take these orally but instead of swallowing them like pills or spraying liquid into your mouth, you will need to chew them or allow them to dissolve in your mouth. As mentioned above, be sure to read the labels and ingredients of these products so that you can gain a better understanding of what you are taking. See Also: Best HGH Supplements of 2019. 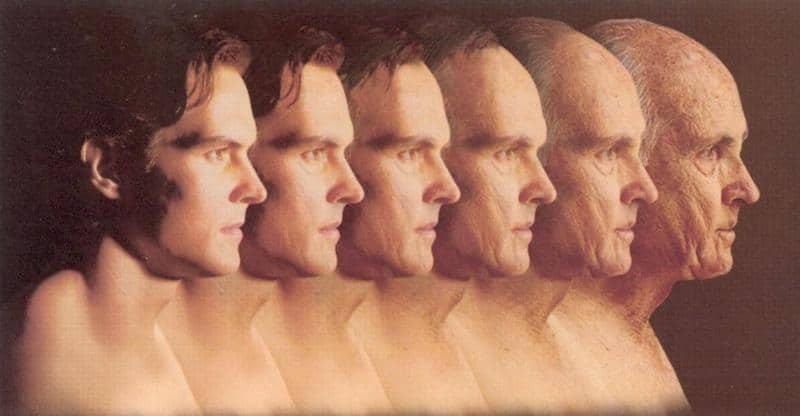 As you can see, as you age, you will begin to experience a decreasing level of GH in your body. The amounts and severity will vary from person to person, with testing being the only way to determine if you will be able to get the actual GH injections prescribed to address the deficiency. While lower energy, loss of muscle mass and an increase in body fat can be frustrating, it may not necessitate the administration of GH, which leaves you with just one option – HGH Supplements. Many of the products on the market support the production of the naturally occurring GH within the body, but does not actually give you a dose of GH. Whether or not specific products will actually work for you individually is difficult to determine. However, if you don’t have any other options, then GH supplementation may be a route that you may want to explore. We hope the information contained here will help you to better understand GH, it’s role in your body and the options you now have.